Thanks to Dr Mbewe for penning this. It addresses the core of the matter. Joblessness. You have hit the nail on the head. I personally employ a man from Malawi because he is reliable and hard working and I am prepared to pay him well. I sometimes wonder whether SA with its increase in Ancestor worship is not facing the judgment of God, that God has given our leaders and our people over to a reprobate mind. Only the gospel can change this. We need to do all we can to plant biblical churches in our townships. I was referred by friend to read and possibly comment on your well written piece. I am Christian black pastor currently studying in the US. I was (still am) very much involved in both political and theological discourse of racism and "xenophobia", particularly the 2008 attacks. I think your piece highlights the core problem, which is unemployment in SA. In fact, the proper categorization to analyse S.A's problems is rooted on the outcome of the "Diagnosis document" produced few years ago, naming it "triple social challenges" - poverty, unemployment and inequality. I'll came back to this issue later. The other point your piece depicts as factual information is that the above mentioned social challenges are not unique to S.A (living in the US clearly points out to that reality, particularly with reference to both blacks and Hispanic people). Foreign nationals tend to grab and/or explore possible work opportunities and in most cases they face exploration. 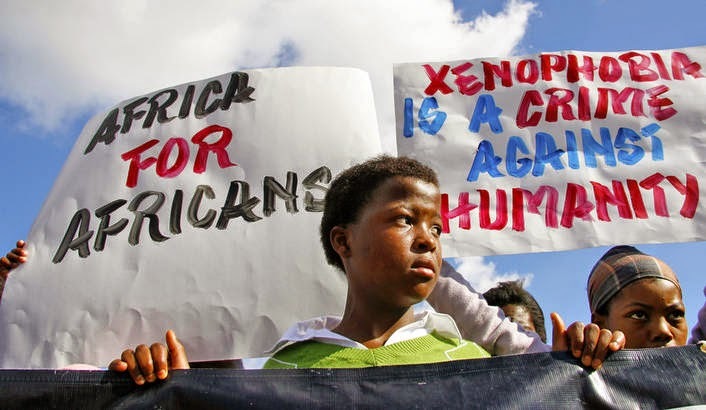 In S.A foreign nationals are perceived as hard workers, while in fact they are being paid badly and because many don't have proper documentation they get abused and exploited. This has major ethical and theological implications. Were I sharply disagree with your piece is when you interpret "Xenophobic" attacks as "time ticking bomb". With all respect sir, the real time bomb in S.A is inequality (reversal racism after 1994); unemployment and land problem. The history of S.Africans living together with foreign nationals speaks for itself, people coming Mozambique; Zimbabwe; Malawi; Zambia;Ethiopia; Somalia and Nigeria, the list goes on. In fact, S.A probably "host" many African foreign nationals that any country I know of in Africa. So, I think your piece was good, but it also lacked other important aspects. Just wait is just a matter of time south african will suffer more than before let the white south african rule you will hear how whites will start to treat them like dog and no african country will come and rescue them like the past. Thanks all.